This week’s find is VERY likely to bring you back to fond memories of childhood happiness. 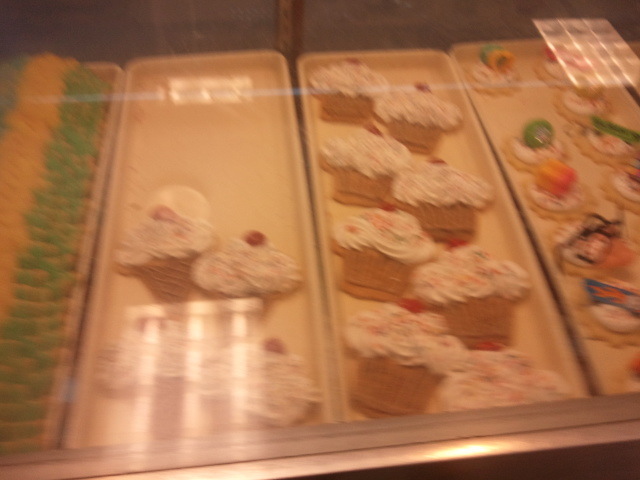 Remember when your day revolved around acting really good so you could get a treat? I would like to introduce you to Suarez’s donut on crack – the Texas Style Donut (Suarez Bakery). 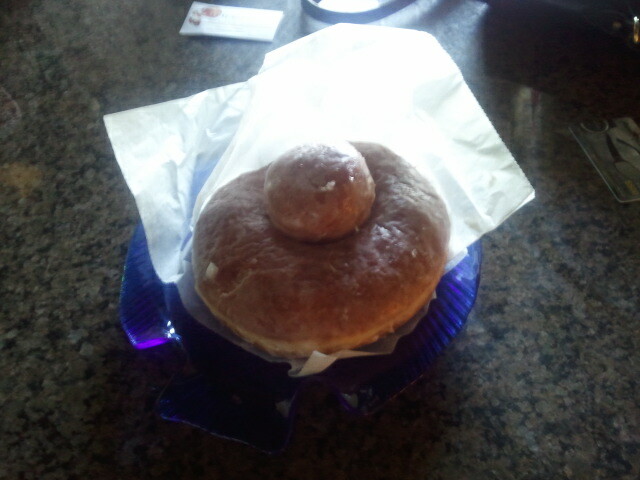 For a mere $2.50 you can get the biggest, best donut you have ever met in your entire life. The folks who work there don’t give you the stink eye when you order it. 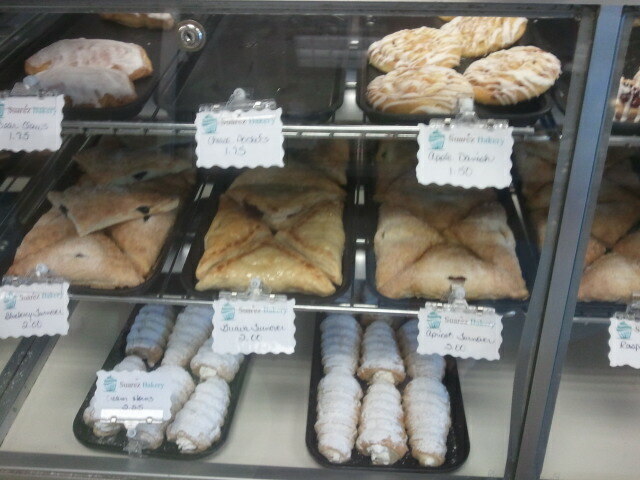 Doug is so unashamed that he typically orders TWO (see a picture of him today). He has been VERY busy painting unbelievable masterpieces, but he did manage to stop to get a few donuts to refuel on our trip today. I grew up in a two stoplight town in South Dakota and will NEVER forget the wonderful bakery I grew up with – Schad’s Bakery. It has since closed, but I have spent the last fourteen years trying to find something that is “as good” as Schads. I found it by chance – on a drive home after a breakup (thank god!!). I found Suarez in the Park Road Shopping center on (none other than) Park Road when I was trying to find a wine store on the other side of the street. I never got the wine that day, but I got the donuts. 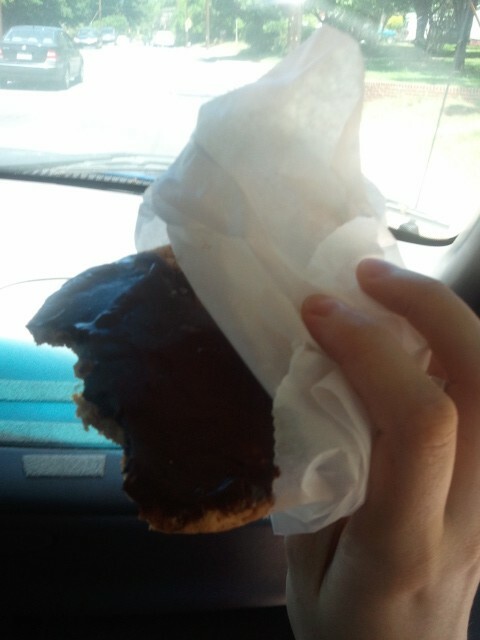 I ordered a chocolate long john and the rest is history. Even better, the prices are unbelievably great. Some may argue that donuts are not fine foods, if you want to argue with me, go ahead. It will only take one bite of a texas style donut (see above) to shut you up. Other favorites include chocolate chip creme-filled sandwich cookie, apple fritter, glazed donut, pretzel glazed donut, okay, basically EVERYTHING Is unreal. 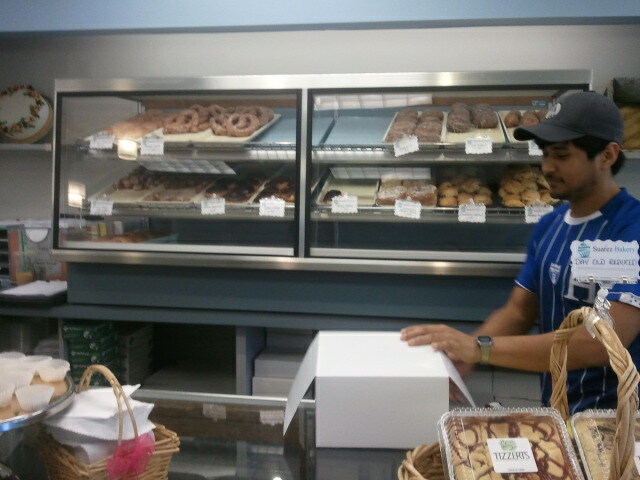 Top Shelf Donuts (Texas Donut lived here). See the empty space after the pretzel glazed donuts? That was a result of Doug and I ordering the remaining four. 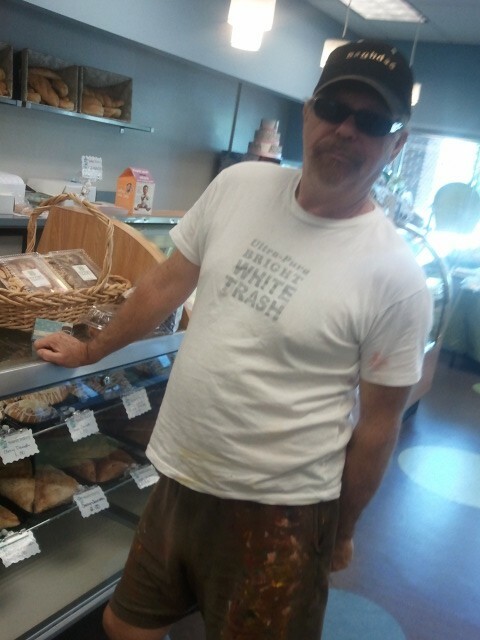 White Trash Doug Donuting - see the paint on his pants? He actually really is an artist (a VERY wonderful one too). Yes, the cookie is bigger than my GIANT hand & is my new favorite! See last week’s Fine Finds – it compliments donuts VERY well. This week’s find is a combination of a high quality product at a really great price. Coffeeam.com is a site I would have NEVER found if Doug hadn’t told me about it. We both regularly order 5 pounds (yes, ahem, five) of e-Coffee Blend for $35-$36.95. e-blend description from coffeeam.com: this coffee is, in the opinion of our roastmaster, one of the finest blends we have ever created. It is top secret, but contains 3 very fine Arabica coffees. See if you don’t agree that this is simply an incredible and smooth coffee. Can you believe it? High quality, FRESH coffee delivered to your doorstep. We buy together to save on shipping (which is minimal). If you try coffee am, you won’t be disappointed! Let us know what you think. I have had this coffee-it is definitely worth ordering!!! Charlotte on the Cheap GREAT!